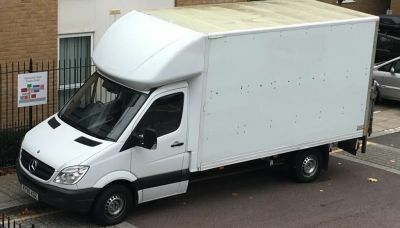 We can't give you a quote from True Removals, but we have hundreds of drivers waiting to offer you a great price. Have a question for True Removals? No problem, send them a message and they'll email you back as soon as possible. If you have a more general question you might find it answered in the FAQ, or you always contact one of our brilliant customer service team. * True Removals won't be able to see your email address. Our house removals London service have the experience and expertise to help you move home with less stress. Boasting over 3 years’ experience in helping people move, our house movers London team know what it takes to move your possessions safely. Being based in South London means all of our house removals London team live in London, so they know the best routes and the London area well, our staff don’t get lost! Our staff are the strength and backbone of our removal service. We invest heavily in training so we can provide you with an experienced, motivated removal team. They are prepared to put in the additional effort to ensure your complete satisfaction. All our staff are directly employed, uniformed and polite. We are aware that every removal is unique. Our pleasant office staff, all with many years of road crew experience, will discuss your individual requirements. Depending on your needs, supplementary services such as parking suspensions, hoist hire, piano logistics and safe removals to name a few, will be arranged on your behalf.